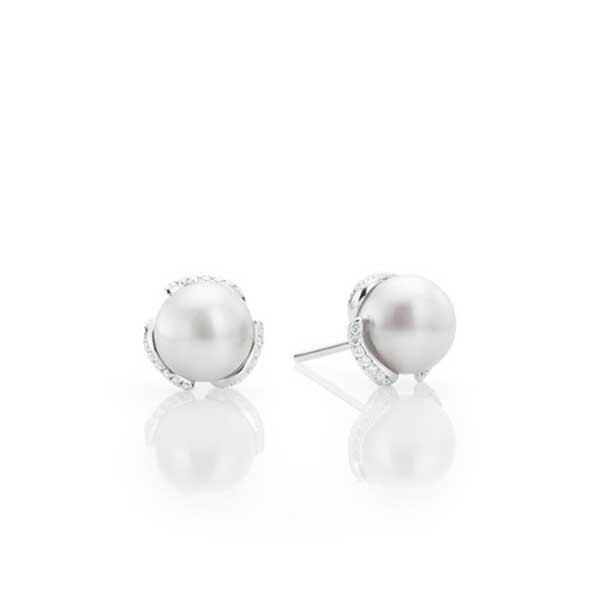 Mikimoto reinterprets a classic in this pretty pair of earrings. A 8mm Akoya pearl is surrounded by brilliant diamonds. The difference? The border is separated into three parts, giving light and air to the piece. The result is a visionary version of pearl stud. These earrings from Mikimoto presents a model of modernity, sure to become as unforgettable as its predecessor.